GP JOULE is a company that looks to the future: based in Reußenköge on Germany’s North Sea, it is reinterpreting the concept of agriculture, which involves using renewable energy sources to combine economic profitability and environmental awareness. As a young company with big plans, GP JOULE is naturally faced with a number of communication challenges. It is now tackling these with the help of Pokeshot///SMZ und Jive Software – so that it can also look to the future with confidence. GP JOULE already provides professional support to its clients throughout all phases of renewable energy projects: from the initial idea to successful implementation and also manages and maintains completed facilities such as solar parks, wind farms and biomass plants. Success and growth are now enabling the company to expand into new markets such as North America and France, but are also forcing it to rethink a number of things: How is it possible to reach all employees in equal measure but also in an individual way? What information channels are used sensibly? What role does Jive social business play in all of this? A central communication channel that effectively manages and distributes information is lacking, according to Ove Petersen, CEO of GP JOULE. Plus, the company is also addressing questions like, What’s the best way to retain knowledge within the company? How’s it possible to leverage systems already established within project management for project team communications? GP JOULE hopes to have found the answers with new tools and the introduction of a collaborative communications structure. The requirements are clear: information has to be presented transparently and made available to the right employees at the right time, and email will be phased out as the internal method of communication (currently project communications are being handled in Outlook). To determine which tool would best implement the requirements, GP JOULE evaluated a number of potential solutions and soon decided to use Jive social business platform, while choosing to work with Pokeshot///SMZ for consulting and technical support. The Jive social business consultants from SMZ had already advised GP JOULE on social technologies prior to the project and because of this experience were able to get off to a running start. The ambitious plan called for the roll-out of a working social intranet at GP JOULE by March 2014, with the aim of providing a way for employees at all locations in the world to connect and collaborate with each other. Thanks to a structured and systematic approach, it was possible to stick to the schedule – and thus the NEWTONmessenger was born. The support of top management at GP JOULE was crucial to successfully implementing the Jive social business tool. The management team promoted the initiative in the company and rallied all the resources needed for the roll-out. Another key factor was the execution strategy that was coordinated with GP JOULE: from identifying goals to customizing Jive social business platform to planning launch communications, every step of the way was planned in advance to ensure a smooth execution. The thorny issue of launch communications was given special consideration, and a variety of different ideas were gathered regarding the best approach to take. Emphasis was placed on the curiosity of employees who needed to be won over to the project. The slogans and video messages created by GP JOULE helped generate interest among employees and get them started on the intranet. The detailed project planning and thorough launch communications strategy made the collaboration between GP JOULE and SMZ a success story. Yet if one looks to the future, one will see that this story is just beginning to unfold. To ensure NEWTONmessenger‘s success in the long term, it will soon be necessary to instigate the first measures for assessing the intranet’s performance. Until then, die Pokeshot///SMZ wishes the entire team at GP JOULE lots of fun communicating, collaborating and connecting on NEWTONmessenger. 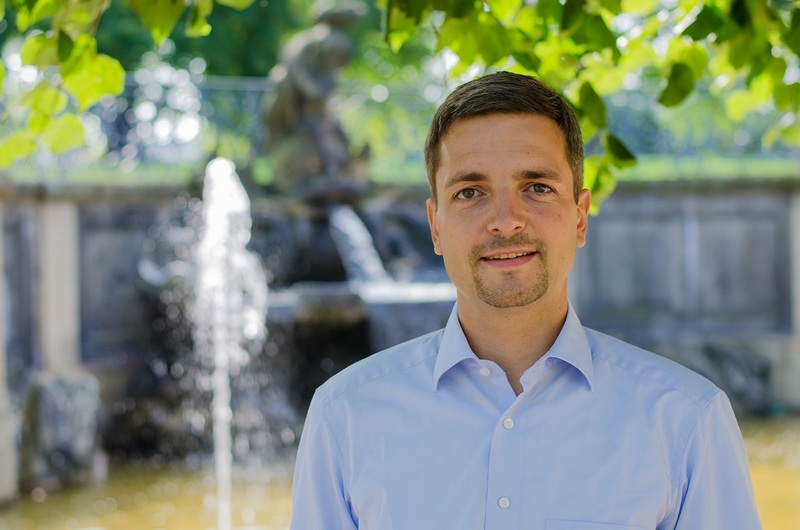 Christoph Rauhut graduated in Business Computer Science, joins our team as Senior Consultant in the area of Social Business Strategy. Until now he worked for T-Systems as Senior Consultant. There he was responsible for a team of consultants and software experts for Jive technology. He managed consulting and software implementation projects and he was responsible for set up of the partnership with Jive Software.